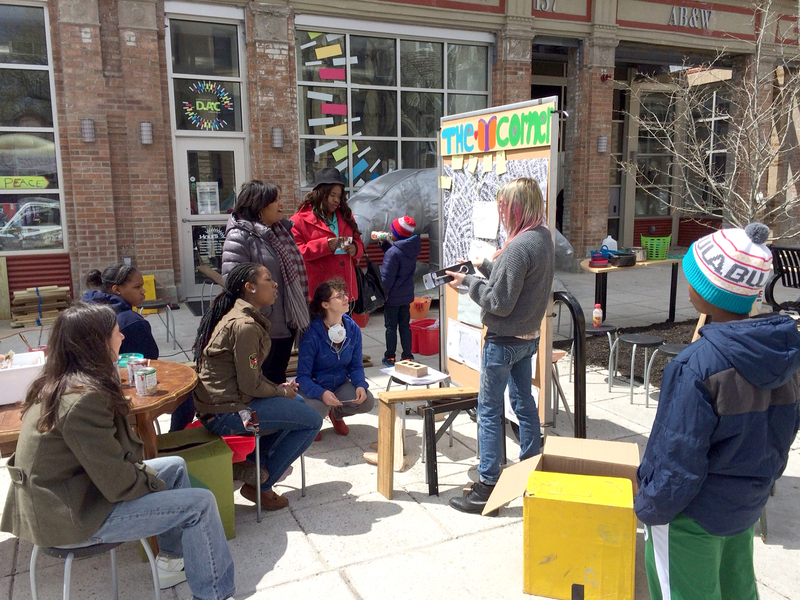 An ongoing initiative to design and build community-driven public art projects in Four Corners, The Public Art Salon facilitates relationships between the community and professional artists in the neighborhood. We began to establish a weekly place for civic practice where we all come together to make and talk art, politics, and community. Each week, local culinary artist Cadieja Joseph brought healthy food, and we were happy to provide a small stipend and a place for her to try her business skills. During the last several weeks, we provided a stipend to Mechelle Merritt, founder of Jump for Justice, to come mentor the young participants and jump some rope too! The third session of the Public Art Salon was led by community artists Mechelle Merritt, Cadieja Joseph, and Azia Carle. They collaborated with local businesses and created more public seating outside each merchant’s shop. 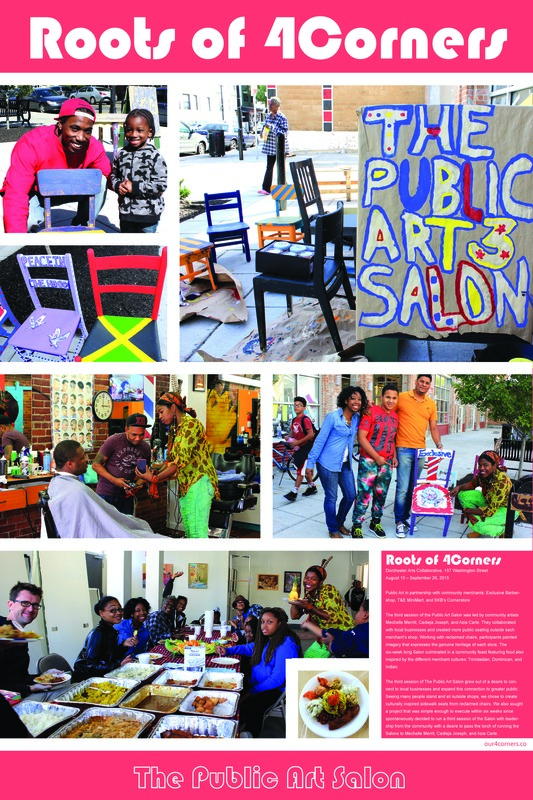 Working with reclaimed chairs, participants painted imagery that expresses the genuine heritage of each store. The six-week long Salon culminated in a community feast featuring food also inspired by the different merchant cultures: Trinidadian, Dominican, and Indian. The third session of The Public Art Salon grew out of a desire to connect to local businesses and expand this connection to greater public. Seeing many people stand and sit outside shops, we chose to create culturally inspired sidewalk seats from reclaimed chairs. We also sought a project that was simple enough to execute within six weeks since spontaneously decided to run a third session of the Salon with leadership from the community with a desire to pass the torch of running the Salons to Mechelle Merrit, Cadieja Joseph, and Azia Carle.